We provide an information preservation service (the Service) tending to facilitate you to retrieve any file that has been on the internal disks of a contemporary Windows PC, no matter what folder it was in, the nature or size of the file, or the amount of time it remained there. We don’t check or control the information in the files or directories we keep for you, in fact it is one of our objectives to avoid having access to its content or even to its file or folder names, unless specifically and timely authorized by you, and restricted to maintenance or support purposes. As part of the Service, our software may access and show previews of your information, only when requested by you, including files and folders names, but we don’t keep track or copies of what the Service is showing. Please, note that any user that types-in or provides us the combination of the email and the password that you selected, would univocally mean to us that this user is you. So, keep them properly secured. You must understand that we would cooperate with law enforcement officials or with public authorities if we believe in good faith that law requires it. You should be at least 16 years old to create an account. 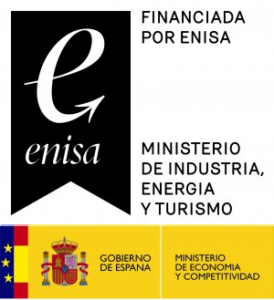 We provide this service from the EU (Spain), and make all efforts to comply with GRDP Regulation. All the personal information we keep about you is an email that is used for two things: a) communicate with you for service reasons, and b) to grant you access to the service. We may share this information with some of our suppliers, if it is necessary for the proper provision of the Service. We don’t verify the validity or veracity of the name you may have given us. We don’t trade with any of this information. This Service is provided under the laws of the Kingdom of Spain, and this will be the governing law. Unless opposed by your applicable law, you agree not to pursue any claims arising under these Terms on a class or other representative basis and will not seek to coordinate or consolidate any arbitration with any other proceeding. We have developed our software and provide our service with the highest levels of skill and care, with our aim set on providing you the ability to recover any lost or deleted file that was on your disk at any time, and we make reasonably extensive testing for it. However, we don’t make a promise on our Service reliability, availability or suitability to cover your needs. Our service is provided “as is”, and to the extent permitted by law, we exclude all warranties, and limit our liability to the amount you paid us to use the Service for the last year, including any implied warranties. If you are using the Service as a consumer and for a personal purpose, and if in your country you have certain rights as such, then nothing in these Terms limits any consumer legal rights which may not be waived by contract. In the case that you are using the Service for business, completely or partially, we understand that the legal entity(ies) is(are) accepting these Terms jointly with you. In any case, both of you, or you, will hold harmless and indemnify Loozend and any of its affiliates, officers, distributors, agents, and employees from any claim, suit or action arising from or related to the use of the Services or violation of these terms, including any liability or expense arising from claims, losses, damages, suits, judgments, litigation costs and attorneys’ fees. As far as the law permits it, Loozend will not be made responsible for profits, revenues or financial losses, or data, use or business losses, direct or indirect, nor for special, consequential, exemplary, or punitive damages, and in any case Loozend will not be liable for any damage or loss that is not reasonably foreseeable. You can cancel your account, by logging-in and selecting the corresponding option, implying that we will destroy any means to recover or reconstruct the information belonging to your account. Note that this is the only way you can have Loozend delete any part of your information, since we have precisely engineered the Service to avoid any possibilities to erase, intentionally or by mistake, selected or specific files or folders that are or have been in your disks during the provision of the Service. It is either all or nothing. We may terminate this agreement in case we understand that you are breeching it, or that you are harming us or other users, or after a reasonable period of lacking of your payment to us. We may discontinue the Service or parts of it, due to arising circumstances that makes us think it is better to stop or for legal requirements that we ignore today. We may change this agreement from time to time. We will not announce these changes, unless they are very relevant, so, check them regularly.